Aryballos. Plastic vase in the form of a kneeling boy. 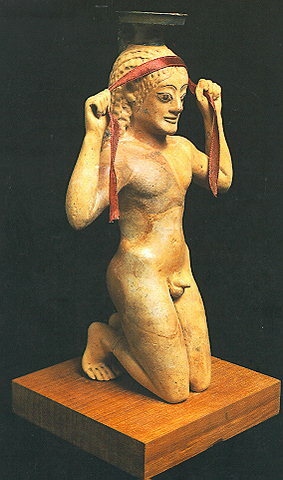 The figure represents an athlete binding a ribbon, a symbol of victory, around his head. Dated to ca. 530 B.C.